For the life of me I can’t understand how someone can live daily and not know what’s going on with their child/ren. To have no clue what school the go to, who their teacher is, what they like to do for fun, if they had a good/bad day, etc. So much happens in a day and you have been missing for years! It’s sad. Father’s are not the only ones missing, it’s alot of mothers not raising their kids too. I never understood the fellas that say things like I can’t deal with her(their childs mother) so they choose to stay away from their child. What sense does that make? The woman that stretched her body to limits she could not imagine in order to carry your child for 9 months, but u can’t stand to be around her not even for the sake of your child! PLEASE WAKE UP AND GROW UP! She don’t need you bruh! YOUR CHILD DOES! 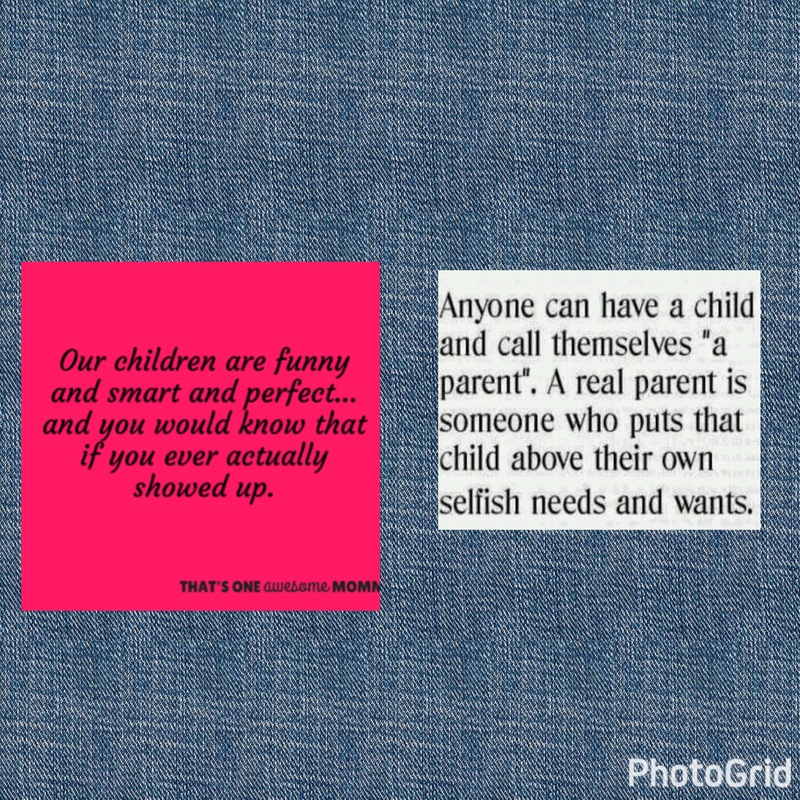 Either you can put your ego and pride to the side or you will live daily in guilt knowing you are continuously letting your kids down. You are hurting the child over and over again. Now you have a son or daughter out in the world feeling rejected! The rejection they feel leads to all kinds of other issues. It is never too late to rebuild. It will take patience, time, and alot of consistency but it can be done. Most of the kids that have a missing parent pray for the day things would change. They wish for that parent to come back and make everything better. In most cases EGO and PRIDE win and another child is left broken. A mother is irreplaceable. There’s no one that could ever take the place of the person that gave birth to you. It’s the most precious gift in the world. For a mother to be able to walk away from their child and not be in their life is the saddest thing I’ve ever witnessed . There are women that would love to have a child but can’t for whatever reason. A mother’s love is necessary because it is nothing like it. Carrying a child for 9 months is the ULTIMATE BONDING EXPERIENCE! How dare U! Mothers that gave up and choose not to take care of their child/ren. If you’re not physically with your child BE PRESENT! Call. Text. Write. Whatever it takes!! That child will forever need his/her mother. I’m blessed to have 2 Moms I can’t imagine not ever having 1. Once again it’s a choice to be made. You can place ur ego and pride to the side or you can live day to day feeling guilty and choose to stay away. As a mother, it would break me! I can’t let days go by without talking to my kids, I always want to know what’s going in with them. If I don’t hear from them, they know im gone be calling! Consistency is the 🔑. Things won’t be perfect but a relationship can always be rebuilt if your intentions are in the right place.